What is Fish Mix ? Poor quality soil is transformed into rich and fat soil after a few days of use, providing plants with natural minerals. How to use Fish Mix ? 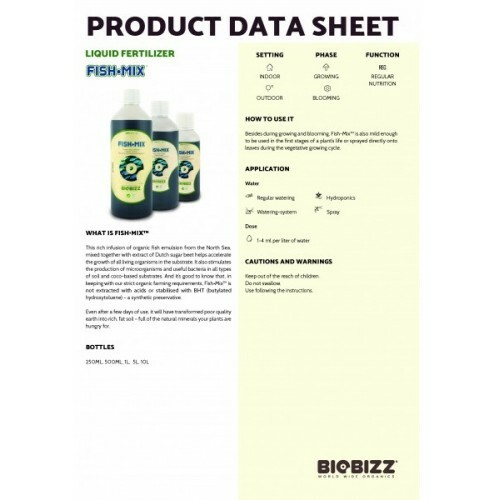 Every grower who has his plants outdoors can use Fish Mix. Fish Mix can be used from the second week of the growing period, during the flowering period till the harvest. 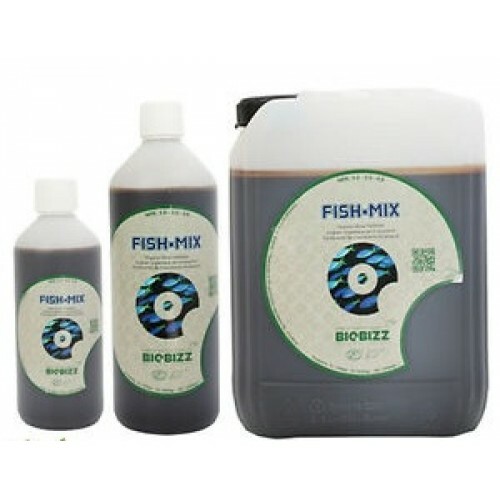 Do you want to combine Fish Mix with your All Mix ? Then we advise to use a dose of 1ml per litre of water. When using Light Mix we can advise a dose of 2-4 ml per litre water. Follow our grow schedule for the best results.